Back to basics this month as I choose the theme for the first time since Rain back in November. ‘Car passes’ may not be the most exotic theme we’ve ever had but it’ll be a very useful one if it provides us all with a greater variety of this type of recording to reach for. As the club’s sound collection develops, I’d really like it to become useful to people for specific jobs they work on. In other words, if any members have a project approaching in the coming months for which they could really do with a fresh bunch of specific sounds (which are not location-specific) then give me a shout and I’ll try my best to make it a theme in time to deliver the goods for you. With this in mind, I’ve chosen this theme for myself because it may be useful to me over the coming months. I’ve got a couple of relatively quick turnaround FX jobs coming up soon which are highly likely to contain many scenes which need background traffic passes covered. When you don’t have much time to pick out these individual passes, it’s really handy to have a good selection of recordings of a series of vehicles passing by, otherwise you have to compile the passes from an amalgamation of different recordings which is much more time-consuming and sounds less consistent. Enough spacing between passes to give you full depiction of each vehicle’s approach and drive away. Two cars passing by together while another car passes by on the other side of the carriageway is of no use for this purpose (if at all). As with most types of recording, low background noise is important to avoid hearing a surge of noise as you fade the car pass in and out. What’s more, it muddies the definition of the sound of the vehicle itself. Apart from that, though, there are very few conditions to adhere to. The vehicles must predominantly be cars but your recording may also contain bus / truck / motorbike, etc. passes too. 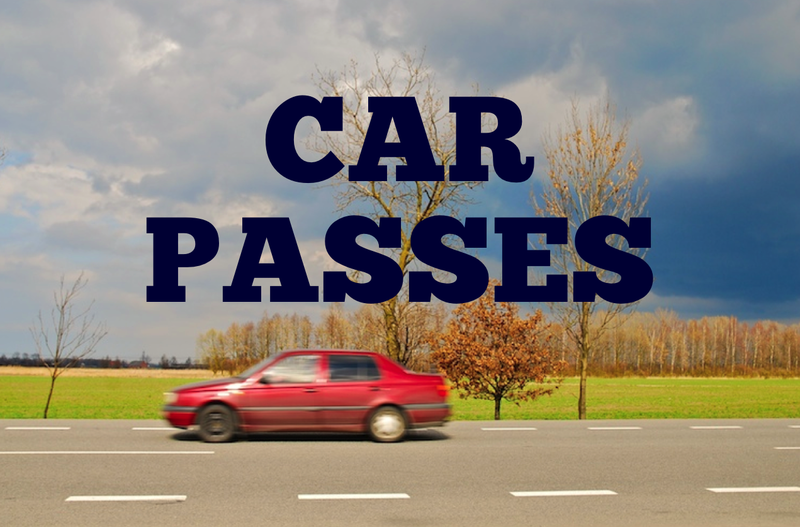 The car passes can be as close or as wide as you like – although don’t go so wide that the individual car passes lose their definition and become a more general traffic atmos. Think about definition: If you monitor at a low level but can still hear interesting detail from the engines, the road or simply from the acoustics of the street then the track is likely to work nicely when ducked down low in a mix around dialogue. If not, you’ll end up adding little more than surges of white noise to the mix. A good selection of orthodox street / main road recordings at different speeds would be great, but I’m also hoping to hear some more unusual contributions too: eg. Cobbled streets, flyovers, speed bumps and manhole covers to name but a few variants. Other than that, and as usual, I don’t want to tell you all too precisely what to record, but please feel free to comment below if you have any questions or if you think I’ve been unclear in any way; if so, I’ll provide more detail where necessary. This entry was posted on May 2, 2011 by sonicskepsi. It was filed under Notices, Themes and was tagged with Notice.